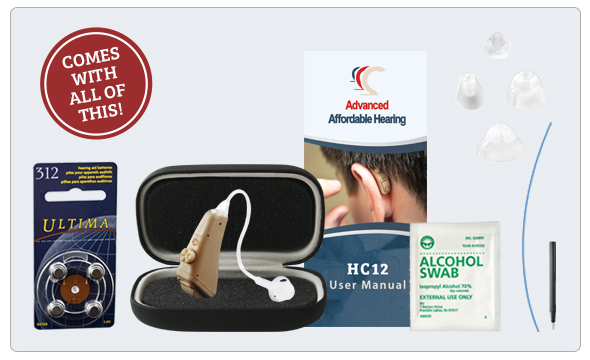 The HearClear HC12 is a premium-quality, digital hearing aid that comes packed with features! 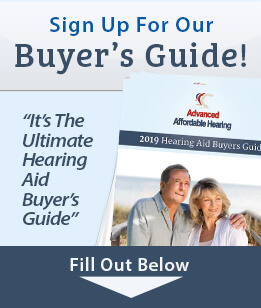 This affordable hearing aid comes with an easy-to-adjust full range volume control wheel which allows you to adjust it to your hearing loss. The HearClear HC12 also allows you to have the ability to adjust high-frequency trim. Better than those other cheap hearing aids on the market, this small, discreet, Behind-The-Ear design is comfortable enough to wear all day! With an almost invisible slim tube style, this small behind-the-ear hearing aid will help you hear clearly at an economical price! The HearClear HC12 is also extremely lightweight, so you won't even notice them! Warranty Included: 1 Year Limited Warranty and 30 Day Money Back Guarantee—Risk Free! Looking to save some extra money? 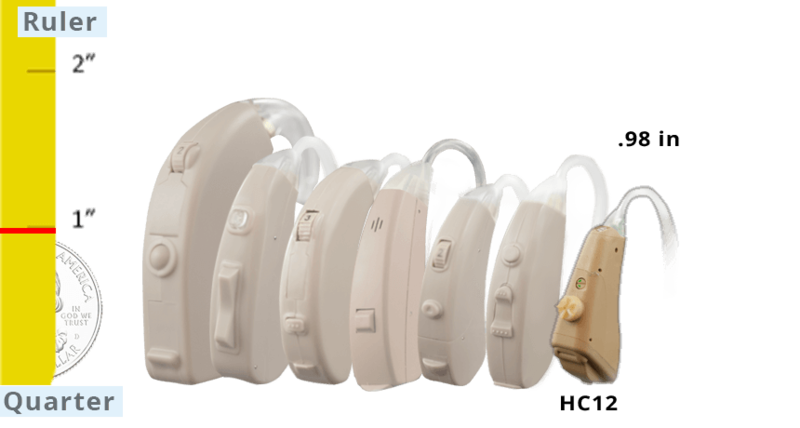 Why not consider purchasing a Refurbished HC12 Hearing Aid. Advantages: Lower prices and FREE shipping. For more information Click Here.